Our client, one of Canada’s largest financial institutions has approximately 2,500 retail and corporate locations distributed across the US and Canada. BGIS provides turnkey facility management services for this institution, including managing the energy performance and operational spend for all locations. To help manage spend and optimize energy performance, BGIS piloted a scalable control system to provide real-time energy monitoring, remote control and fault detection and dispatch across 10 locations in Canada and the US. 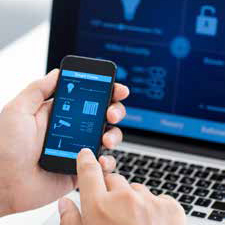 Without real-time monitoring capabilities and a means to impact change, the real estate industry will continue to operate in a market with continued rising costs. To mitigate the operational costs and risks through BGIS’ recommendation, this institution agreed to carry out a 10-site pilot to determine the viability and benefits of a web-based and smart building solution to move to a fact-based and proactive facility management delivery model. "One cannot manage what isn’t measured. With the installed solution, we now have complete visibility to the health, performance and productivity of the building assets and employees." to effectively manage and prioritize response time and resources. 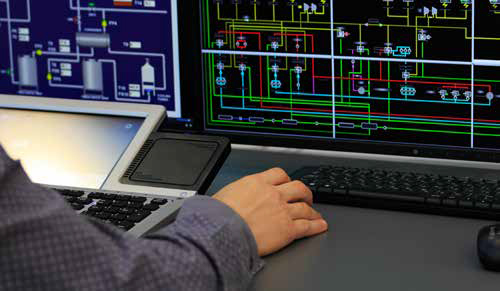 The installed solution provides real-time monitoring and remote control of building assets. 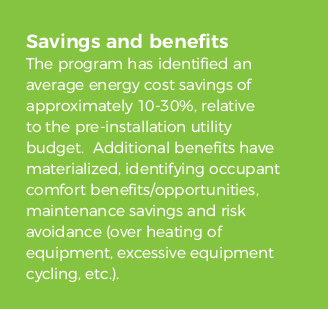 Through the ongoing monitoring and remote modifications to building sequences, 10-30% of energy cost savings have been identified from changes to HVAC setpoints, runtimes, lighting controls and reducing unoccupied plug loads. and non-uniform HVAC and lighting control systems. 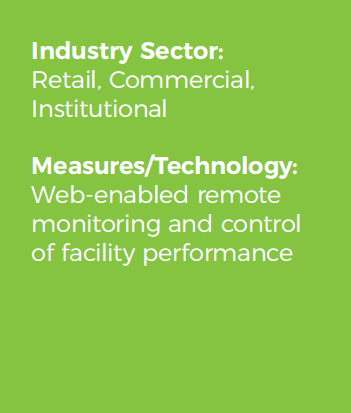 This system provides a means to not only view and modify performance data remotely, but also consolidate existing building automation systems platforms into a common portal/access point. Currently, the local utility is interested in supporting this program but because it is new to the market, the utilities want to use the pilot results to inform the incentive structure.